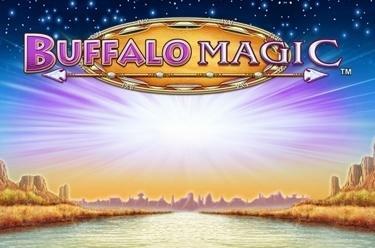 Play Buffalo Magic™ online for free now! The slot Buffalo Magic™, with up to 10 win lines on 5 reels, takes you to the world of the native Americans. The symbol of the Lady adorned with Feathers achieves the highest winnings. The aim with Buffalo Magic™ is to line up 5 identical winning symbols on one of the win lines. All winning patterns run from left to right. The Wild symbol, the Buffalo Skull, can substitute for all other symbols except for the Scatter and can therefore complete potential winning combos. When it appears, it spreads to all positions of the reel it has landed on. What's more, it triggers a re-spin in the basic game where extended Wild symbols are frozen. If a further Wild symbol lands during the re-spin it triggers another re-spin. 3 Tepee (Scatter) symbols on any reel position trigger 10 free games. During free games any Wild symbol landing on the reels is fixed after it has spread and is held for the remaining free games. 3 further Scatter symbols trigger 5 additional free games (max. 1 time). These further free game rounds are played with an extended Wild symbol on reels 2 and 4. A starry sky stretches from horizon to horizon and a campfire brightens up the darkness. Together with the others you wait for the spirit of the buffalo to appear, so that it might grant you big winnings! 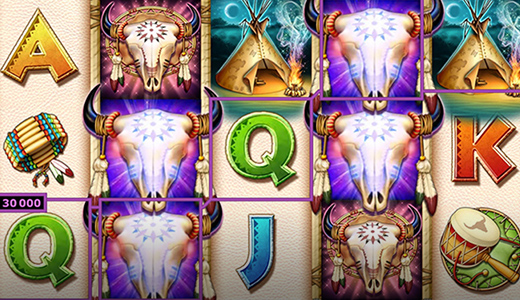 The slot Buffalo Magic™ is all about the rituals of native Americans. If you have the favour of the spirits, then they will rise and take you to the magical land of Twists!